From The Prairie Schooler, Book 152 (REPRINT). Shown stitched on 32 ct Lambswool linen using DMC floss. 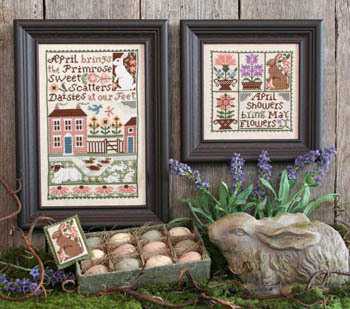 Stitch count for large sampler is 144 x 90; small sampler is 81 x 81.